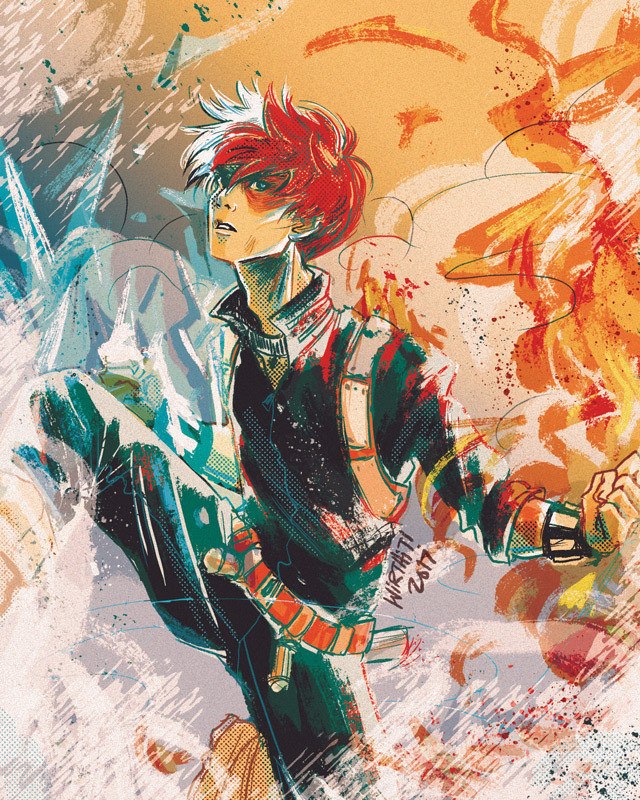 Todoroki Shouto from Boku No Hero Academia aka my boyfriend. Sketch of Todoroki Shouto before being finalized. 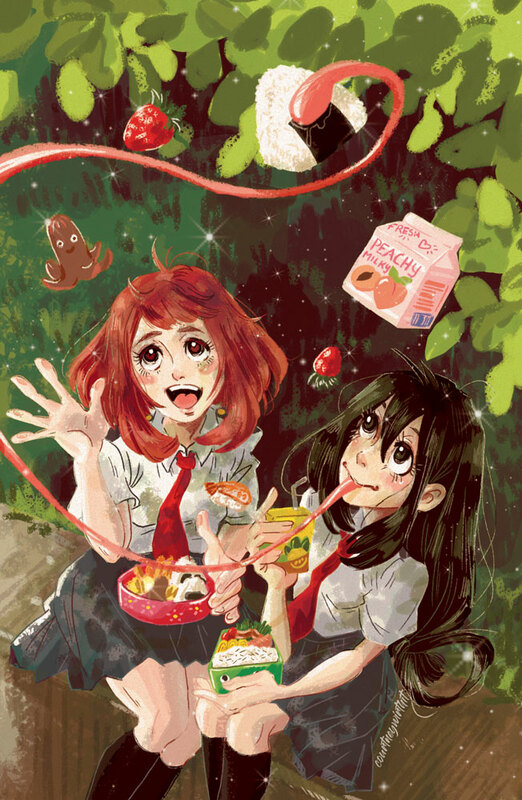 Ochako Uraraka and Asui Tsuyu eating lunch. Part of the official postcard set for CoscafeNYC's Boku No Hero Academia café, "My Hero Café" on August 27th, 2017.